Are You Kitten Me? T Shirt Only $9.99 Plus FREE Shipping! You are here: Home / Great Deals / Are You Kitten Me? T Shirt Only $9.99 Plus FREE Shipping! Cat People Unite! 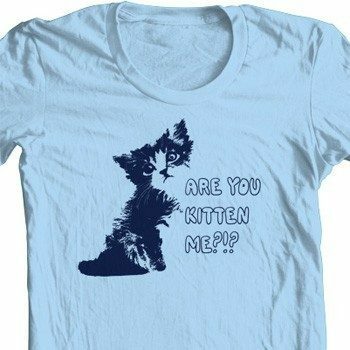 Express your amazement in the existence of non-cat people with this Are You Kitten Me? T Shirt Only $9.99 Plus FREE Shipping! While you are there, check out how to get a FREE T-Shirt!